I’m excited to get to help close out the Debut Authors Bash, put on by YA Reads, with an interview from Linda Vigen Phillips. I was fortunate enough to meet her and get a copy of the Crazy ARC after being “Facebook introduced” through a mutual friend, which I am so grateful for. She’s sweet and humble and her writing is absolutely beautiful. I wish you all the publishing success in the world, Linda! Laura is a typical fifteen-year-old growing up in the 1960’s, navigating her way through classes, friendships, and even a new romance. But she’s carrying around a secret: her mother is suffering from a mental illness. No one in Laura’s family will talk about her mother’s past hospitalizations or increasingly erratic behavior, and Laura is confused and frightened. She finds some solace in art, but when her mother, also an artist, suffers a breakdown, Laura fears that she will follow in her mother’s footsteps. Left without a refuge, can she find the courage to face what scares her most? Sounds interesting, right? And it is… it’s just wonderful. I sent Linda a few questions, some about the story itself but also some that focused on the art found in the story. It was intriguing and added a lot to Laura’s character. Check out my questions and Linda’s responses below, then make sure you enter to win a copy of Crazy! 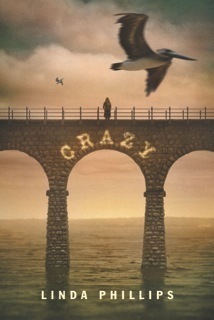 This interview will publish a few weeks in advance of Crazy’s pub date. Assuming most of the audience hasn’t been fortunate enough to get their hands on an ARC, what would you like them to know about the story going into it? 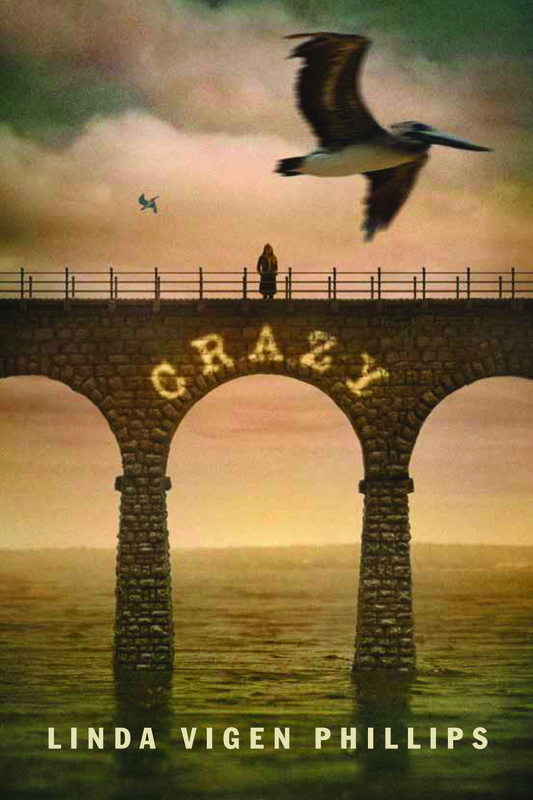 Crazy is semi-autobiographical, and while the names and certain events are fictional, much of the story is based on my experience growing up with a mother who had undiagnosed bipolar disorder. 2. Crazy is written in verse rather than prose, which I think gives it a quiet sort of elegance. 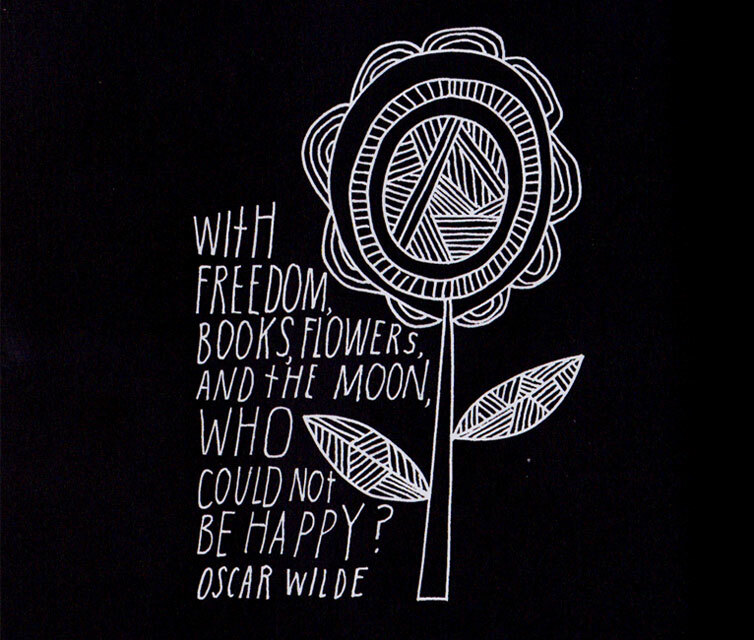 What was your reason for wanting to tell Laura’s story through poetry? I started writing poetry when I was an adolescent, and it has always been a source of comfort and my favorite way of thinking things through. My father’s love for poetry, as it is mentioned in the book, was genuine and contagious, and that’s how I became hooked on it. Originally I wrote a collection of twenty poems that served as a cathartic means of dealing with the raw emotions and unanswered questions surrounding my mother’s illness. A number of them were published in adult literary journals, and I began thinking in terms of a book of poetry when my best writing buddy suggested they should become a novel. I had the good fortune of working with Patti Gauch, retired senior editor at Philomel, during a 2009 Highlights Foundation workshop at Chautauqua, and she was instrumental in helping me nail the YA voice in verse form for this book. 3. Why did you choose to set the story in the 1960’s, and what do you hope today’s teenagers will take from it? By now you’ve probably figured out the answer to this question. The 1960’s is actually when it all happened, and I wrote it like it was. An interesting side-note to this time period came during the editorial process, during which I had to throw out over twenty phrases that were certainly appropriate for “the sixties” but apparently not specifically for 1963. It seems that all the “grooviest” catch phrases and slang happened just after 1963, which is the year in which the story is set. That was the year Kennedy was assassinated, and there is a section that features this in the book. I do hope that young readers will get a sense of how that event affected all of us who lived through it, not just families like mine who were dealing with their own crisis. And, as I mentioned in the afterword, I hope that young people who might be affected by mental illness will realize that methods of treatment and available resources have made considerable gains since the sixties. 4. My favorite element to Crazy, hands down, was the art. I so desperately wanted to see the paintings and the sculptures that my brain worked overtime trying to imagine it all, which forced me to pay attention to the details and try to visualize the artwork. What was your inspiration for the artistic elements to Crazy? Does the sculpture family actually exist? Are there pictures, of any of the actual artwork or that served as inspiration, you could share with us? It wasn’t until after several revisions that I realized the artwork was a metaphor for my own writing. Art was the glue that held Laura together, just as my journaling and poetry helped me to stay intact in my youth. My mother really was a gifted painter, although we only have two of her pieces. But they are good, and I’ve spent countless hours staring at, appreciating, wondering about, delving into, imagining, and seeing the passion that she had. I guess it is that appreciation of passion that drove me through the artistic part of this book. I, too, in my limited way, appreciate good art, and I have some personal favorites that I mentioned throughout the book. Of course I have a fascination with Van Gogh, not only for his art, but his tormented journey through mental illness. And Hopper is a personal favorite because of his amazing use of light, Monet for his wonderful colors. I am a visual thinker, and it was relatively easy for me to envision the paintings of the pelicans as well as the sculptures. There was no existing artwork serving as models for any of those pieces other than the pictures I created in my own imagination. It was important that Laura get in touch (literally) with the art that was her new medium, and I thought her creation of the clay figurines was a fitting extension of the ceramics that her mother painted, but did not actually create. It was Laura’s new identity, and her way of working through the family issues and finding peace within the existing structure. 5. Is there anything else you’d like to share about Crazy? I poured my heart into this book. I hope it might pour back to the reader a healing of memories, a comfort for the present, or a hope for a better future. Persons suffering from bipolar disorder can have normal and productive lives if they seek and follow good medical practices. I hope this book helps get that point across. Happy book birthday to Tessa Marie for Home is Where You Are! This is a pretty adorable middle grade debut. 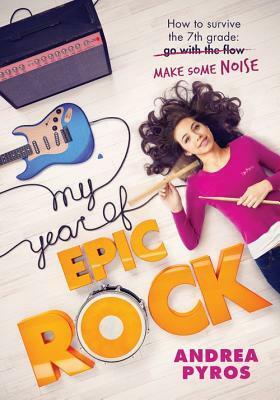 Perfect for girls ages 10-13, My Year of Epic Rock is all about choosing those who make you happy over those who are popular and being confident in yourself. Great messages overall, especially aimed at younger middle school readers. Totally clean and positive – well suited to any young reader. Find it on Amazon or at your favorite bookseller! Welcome, YA Reads America tour readers! Today’s post features Jaye Robin Brown’s debut, which I got to read a few months back and can promise you that it’s amazing. It’s wonderfully written and the story is absolutely beautiful. Make sure you get all the way to the bottom, where you’ll find the details of a Rafflecopter giveaway that is, honestly, the BEST book giveaway I’ve seen. Trust me, you’ll want to win it! For this guest post, I asked the author to give us some insight into the musical influences on No Place to Fall. Music plays a huge part in the story, which really made the storyline sing. Thanks, Jaye Robin Brown, for this post, and thanks to YA Reads for putting on the Debut Authors Bash! 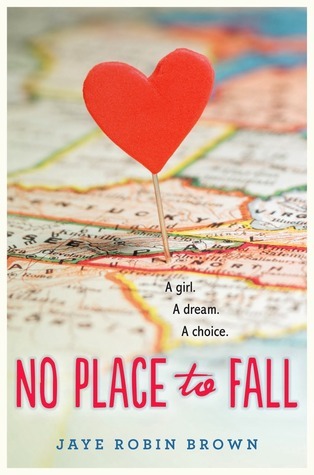 The Music Behind NO PLACE TO FALL In my debut novel, No Place To Fall (Harper Teen – Dec. 2014), Amber Vaughn longs to get out of her tiny hometown. The one thing she has going for her, is her voice. She’s grown up singing, in church, at campfires, with her family, but it isn’t until she and her best friend, Devon, start hanging out at the hiker barn—an overnight shelter for Appalachian Trail through hikers—that she realizes strangers also think her voice is something special. Surprisingly enough, No Place To Fall, didn’t start out as a book about music. It started with the hiker barn and the voice (in my head on a drive into work) of this girl named Amber who wanted more than her home town could give her. As my first idea grew and spread, the music seeped in little by little. There are two events that stand out to me in shaping Amber’s musical sensibilities. One is this fabulous movie, The Songcatcher, that chronicles the tale of a New England woman who is sent to Appalachia to record and write down all the old Scotch-Irish ballads that have been passed down orally through the years. The music in that film is so evocative and shouts of this place to me. The second event was a chance encounter with a teenage bluegrass band. I was out riding my horse and up on a hill, on their front porch, a bunch of young people were playing all the old classics—tunes you don’t normally associate with teenagers. I stopped my horse and hung out listening. Those musicians were incredibly skilled and the visual and auditory memory has stuck with me ever since. Choosing old-time, bluegrass, and Americana has at times felt like a risky choice for my character, but I can’t imagine her singing anything else. Sure, she might belt out some Adele or Beyonce now and then, but the classic singers like Patsy Cline, Rhonda Vincent, Dolly Parton, and Allison Krauss are what Amber knows, and what her voice is suited for. I hope Amber’s love of song and the depth of what singing does for her soul will transcend any reader’s personal taste as they read about her musical choices. And of course there has to be a boy. And in this case it’s Will McKinney, the banjo playing older brother of Amber’s best friend. In Will, Amber finds a kindred spirit. Someone who feels the music in their bones and sees it as more than a hobby. Their relationship takes its own journey, but in the end, they both grow as people from knowing the other. Amazing Grace by Patsy Cline – One of Amber’s favorite songs to sing. This is a beautiful version and fits Amber’s voice. I’ll Fly Away by Alison Krauss – A favorite church song and Amber’s first public performance. When Love is New – Dolly Parton & Emmy Rossum – A bittersweet song about how relationships change over time. For Amber’s parents. 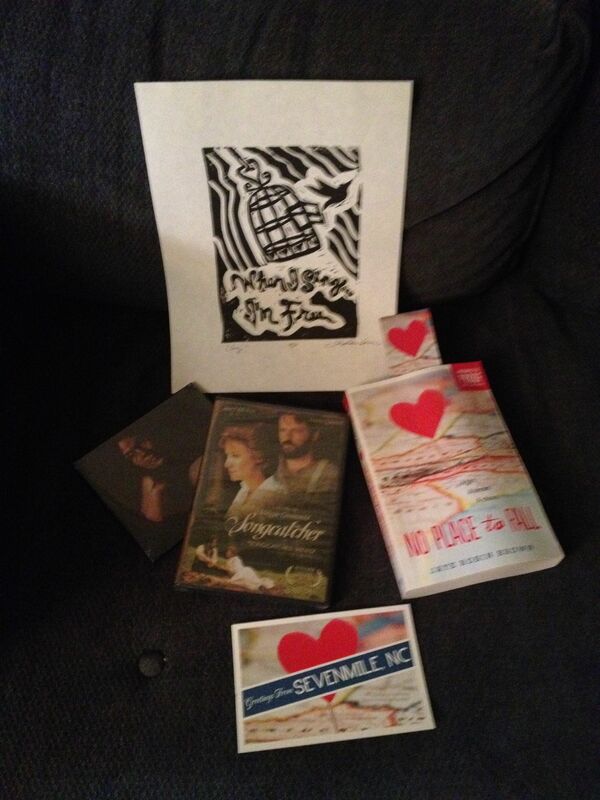 Enter to win a SERIOUSLY Awesome Prize Package (US/Can Only) – Signed ARC of NPTF, NPTF swag, a signed print of the author’s favorite quote, made by the author, an Avett Brothers CD, and a copy of the movie, Songcatcher! 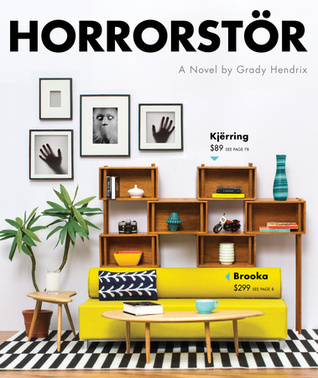 Enter the best book giveaway ever!!! Written by author Amy Zhang while she was still in high school, Falling Into Place explores the life of Liz Emerson, a high school it-girl willing to do just about anything to stay at the top of the social ladder. Liz develops a conscience as she notices the way her actions affect the lives of her peers and, feeling like nobody really knows her or cares about who she really is, she decides it would be better for all involved if she just killed herself. So she plans it out and goes through with her plan. Now, a book like this has the potential to be horribly depressing, but this one isn’t. Zhang’s writing is raw and gritty (language, casual sexual references, drug use, and more) but it’s also intriguing and ultimately hopeful. The way the story is constructed, told in chunks hopping around from months before her suicide to childhood memories to the moments before the crash, allows the reader a chance to really understand Liz and her closest friends and family members. Through these snipers of story we come to know Liz’s whole story, and we can see that she’s not nearly as alone as she believes that she is. Falling Into Place is gut-wrenching and honest and relevant in a way that must come from the author’s age – in high school herself when it was written – which makes it impossible to ignore. SE Hinton wrote about the Greasers and the Socials, rumbles and drive-ins, when she was just a teenager herself, and Falling Into Place will do much the same for today’s world. The issues of drugs, promiscuity, bullying, social media, depression, and suicide are all very real in the lives of today’s high schoolers, and it’s in books like this that those issues find a solid voice. The stories of Liz, Julia, Kennie, and Liam will not be soon forgotten. This is a remarkable debut from a talented writer; Zhang is definitely one to watch for the future. 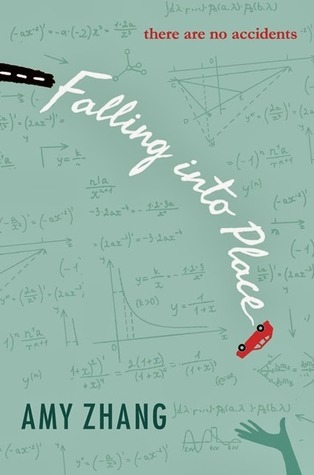 I highly recommend checking out Falling Into Place, which is out now. You can find it here on Amazon or at your favorite bookseller.